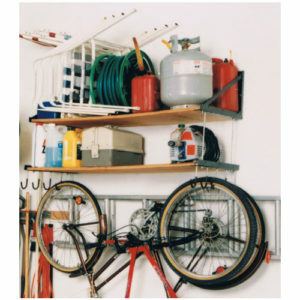 Our unique wire mesh shelf can be mounted to any wall in your garage. 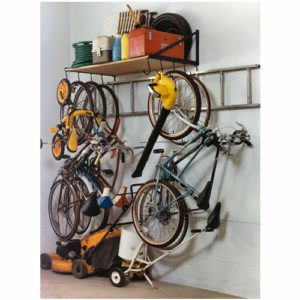 What’s more, these wire shelves can also be mounted along side most of our shelving units and our hanging bicycle rack. 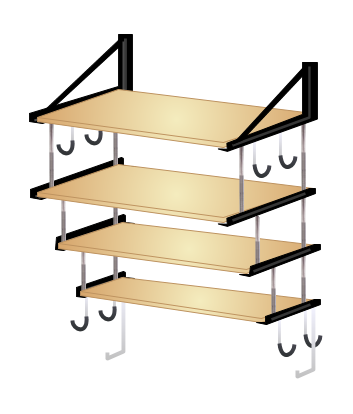 When shelf is mounted to a wall, the maximum load is 50 pounds. The dimensions of the basket are 24 inches wide and approximately 1 foot deep. 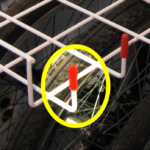 Every wire shelf is made with high carbon, white powder coated wire, for strength and durability, equipped with 8 plastic coated safety caps. 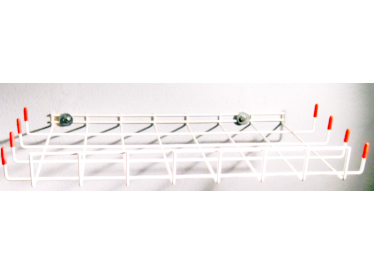 Use our wire mesh shelf as a stand alone, mounted shelf, that can support up to 50 pounds. 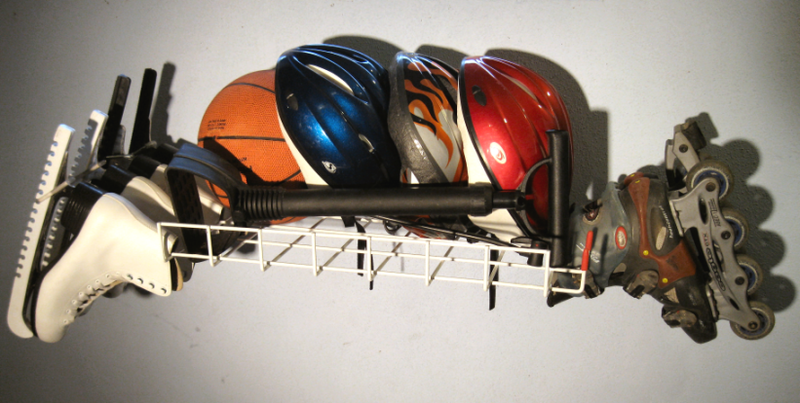 Hang and store skates, helmets, balls, bicycle pumps, gloves and so much more. 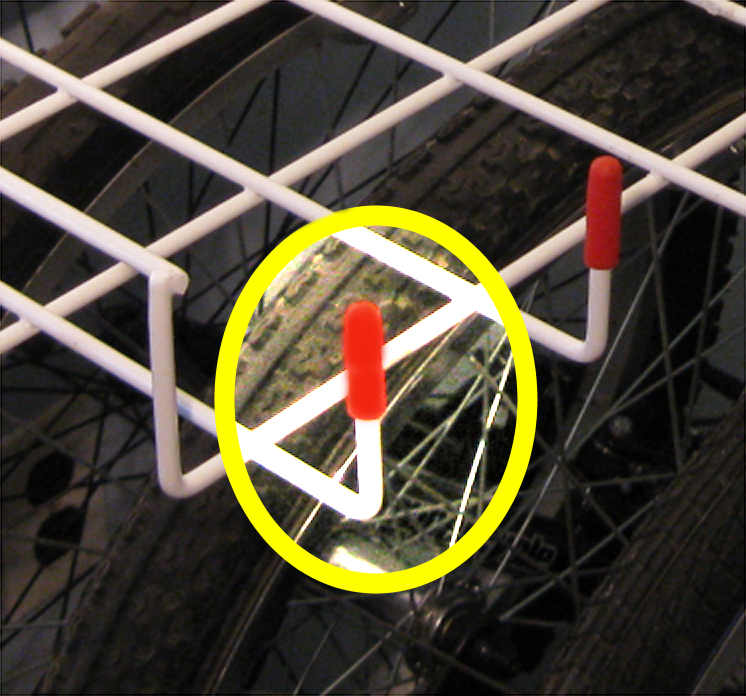 When you add the wire mesh shelf to our hanging bicycle rack, you can increase its storage capacity even more, and move items such as balls, gloves, skates and helmets, off the floor and out of the way. 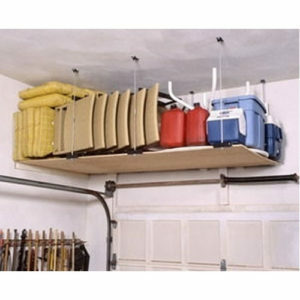 B racket should be installed on a load-bearing wall in your garage ( or an area of your choosing ). Failure to install the bracket on a wall capable of supporting the weight of the bracket ( 50 pounds ), may result in significant damage to wall structures. Please take care in this regard. Wire mesh shelf is attached to the wall mount bracket ( as depicted in photo at right ), which can be used in combination with our hanging bicycle rack, and all shelving units. All necessary mounting hardware is provided. The Bill of Material is a list that contains everything you will receive, with the purchase of our Wire Mesh Shelf.